What is Ladies First Soccer? Lets continue with the review of the Premier League teams to help you make up your mind in deciding what team you should support this season. So close, yet so far. Everton’s hey day came in the mid 1980’s, they won the league two years in a row and narrowly lost the FA Cup final to Liverpool in 1986. Since then they are the team everyone wants to do well, and for the most part they do. The last few years they have finished in the top 7, but they can never seem to clear that final hurdle and finish in the top 4 – this is not due to a lack of grit, determination, skill or flair, they have that in abundance. It is really down to lack of funds and the huge wall any team has to climb in order to maintain a position in the top four throughout the season. Everton are a joy to watch, they play wonderful football and are the team everyone hates to meet, especially at home and you can’t help but love them. They will never win the league but they provide some wonderful entertainment. Hull are never going to set the world on fire. Last year the biggest drama was the owner wanting to the change the name of the club to “Hull Tigers” however the fans protested (peacefully) and luckily the FA stepped in and said they would not allow the name to be changed, thus settling the argument. In the mean time, Hull City reached its first ever FA Cup final, and achieved its highest finish in the clubs history. The team will never have any superstars and will probably battle relegation this season, but they play good, honest football, and in Steve Bruce they have a truly lovable manger. The classic yo-yo team – up one season and down the next. Their last visit to the Premier League came in 2004 and back down they went again. Leicester are most certainly an underdog and a team that will always struggle in the top flight. On their day they can be a tricky team to play and they have a good squad of players. If you want to follow a local team with a rich history then Leicester is for you, however if you want to support a team that is going to win things, maybe Leicester isn’t the right fit. Congratulations to Manchester City – 2013/14 Premier League Champions! When you hear the words ‘Run In’ it normally guarantees drama until mid May. So grab a red pen, find a nice big wall and write in large letters ‘6 games to go’! For the first time in years the run in features 3 teams – Liverpool, Manchester City, and Chelsea. This time last season the title race was already over after Manchester Utd had stormed to an unassailable lead – it was kinda boring. This season, however with Man Utd’s demise, the Premier League title run in is back to what it once was, packed with drama, tension, ups and downs while watching each team involved avoid bizarre slip ups against the teams at the other end of the table. And with three teams involved, this could go to the wire. Having scored 63 goals this season, you would think Manchester City would be flying high at the top of the table, but they are currently one point behind Arsenal in second place. City are by far the best team in the league, their new manager looks like he has been at the club for years (as opposed to just 7 months), the players are in phenomenal form and yet they struggle away from home and have been prone to the occasional slip up. If they can start winning all their games, and handle the pressure of being in 3 cup competitions they will soon open up a sizable gap between them and the rest of the league, and their route to becoming champions turn into a walk in the park. One of the surprise teams this season. Before the season started, this team had disaster written all over it. The manager had fallen out with the chairman, the technical director is a relic from the Stone Age, and half the team can’t even speak English. And yet they have defied all the odds to play some wonderful football and will be fighting for a top five finish. Christmas wouldn’t be Christmas without A Christmas Carol by Charles Dickens; it is still the embodiment of Christmas, told the world over. 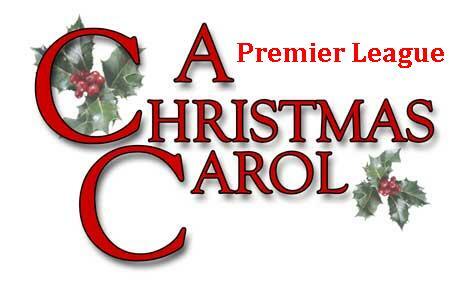 So what better way to celebrate the festive season with a Premier League version of the classic story. The Christmas Premier League schedule is the busiest part of the season, games come thick and fast, teams travel up and down the country and if they are lucky players and the managers get at least Christmas day off to eat some turkey, enjoy several helpings of Christmas pudding, pull a cracker or two before collapsing in a heap and watching the Queens Christmas Message. It is the managers who bear the brunt of the seasonal stress, so let us dedicate the Premier League Christmas Carol to them. Bob Cratchit – Roberto Martinez (Everton) – Okay so he is not in such a pitiful situation that Cratchit was – overworked, underpaid – but he is dealing with a stingy chairman who offers very little in the way of money to buy new players. For the two biggest spenders in the Premier League over the summer (with a combined spend of £200m/$325m), this season isn’t going according to plan. Manchester City sits eighth in the table while Tottenham are one place above them in seventh – this is not where both teams are used to being and both teams have major room for improvement. Tottenham brought in so many new players, manager André Villas-Boas is still trying to figure out his best team, and the team has yet to gel. What started out as a promising start to the season has slowly petered away, with the once free flower, free scoring Tottenham team now struggling to find goals. At the beginning of the season I even commented on how beautiful they were to watch – I take that back now, after eleven games the words ‘bland’ and ‘dull’ come to mind when it comes to describing their play. 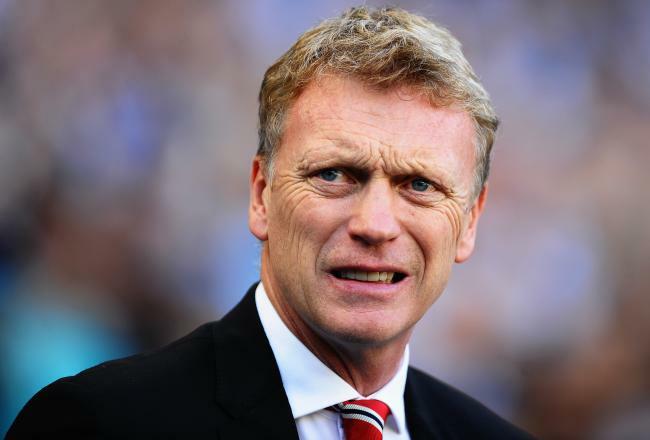 After Manchester United 4-1 defeat, what next for David Moyes? Loosing to 4-1 to Manchester City and being out played is one thing, but losing 4-1 and being totally humiliated is another. From the first minute Manchester Utd looked flat – it is the manager’s job to have the team ready, and they were far from it. The woeful Ashley Young continues to be in the team ahead of Nani and Zaha, and quite frankly he was appalling, if he continues to hold a place in the starting eleven serious questions will have to be asked. Other questions from Sundays performance that need addressing are – with Manchester United being completely outplayed in the midfield after twenty minutes, why wait until after the start of the second half to change the formation? Why was Jesus Navas allowed to run three quarters of the pitch without a single Manchester Utd player attempting to make a challenge? Why have they failed to score a single goal from open play since the first game of the season? How was Manchester United so tactically inadequate? And is Mr Moyes up to the job? 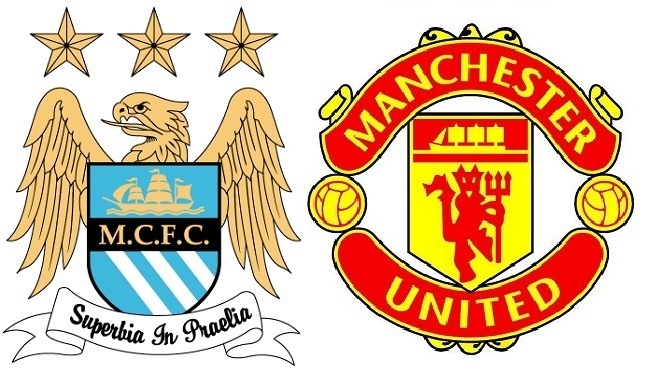 This is it, game on, the big Manchester Derby. For the managers it will be their first, but for many of the players, they know the drill – talk big before the match starts, ask the fans to behave themselves, try to sow the seeds of doubt in the opposition, wind up the opposing star player, collect a mountain yellow cards during the game and then watch as one player comes up with a moment of inspiration that turns the match and helps his side to victory. The 166th Manchester derby promises to be no less dramatic. Both sides have an equal number of points, are not top of the league and are dealing with inconsistent form. However, after victories for both teams in the Champions League this week, perhaps they will have awoken from their slumber. Let’s face it, if the thought of this game doesn’t get the players going, then who knows what will. 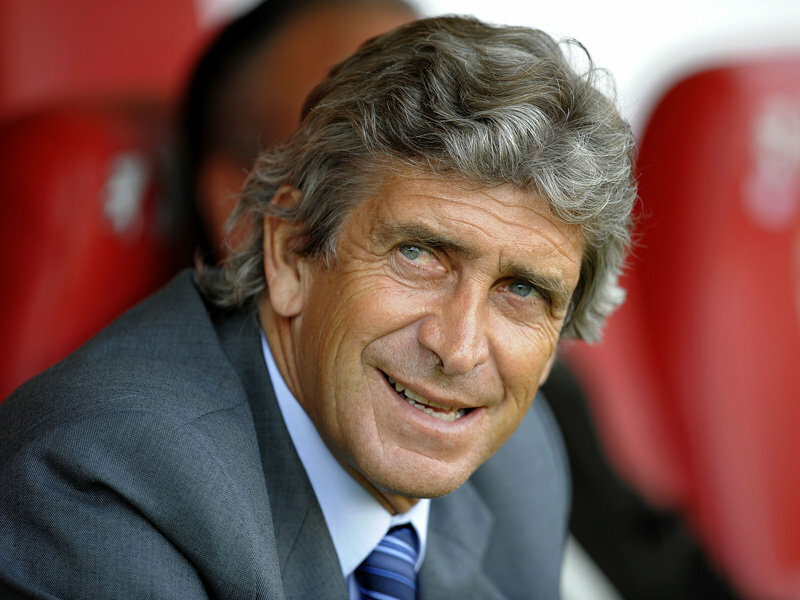 Manchester City has appointed a new manager to take over from ousted Roberto Mancini. The poor man will be swapping sun, san and sangria for wind, rain, accents and a warm British pint. After doing a stellar job with Malaga (which included getting them into the Quarter finals of the Champions League this season) Chilean Manuel Pellegrini has the unenviable task of restoring some order to Manchester City and leading “the best squad in the Premier League” to Premier and Champions League titles next season. He is fully aware that titles are expected, as is improving dressing room relations within a disgruntled squad. However, after coaching for 26 years in Spanish speaking countries (Spain, Chile, Ecuador and Argentina), one might expect his biggest challenge will be getting to grips with the Mancunian accent along with the 185 days (on average a year) of rain that Manchester enjoys. Time to put away the sombrero, and open up that umbrella. Tyrannosaurus Rex, pterodactyl, Joe Kinnear. This week saw Newcastle Utd make the controversial decision to appoint the clubs former manager Joe Kinnear as Director of Football. To mark the occasion the old Dinosaur reared its heard, roared loudly and gave one of the most shambolic interviews in the history of the Premier League. Not only did he claim to have signed several players during his short stint as manager (when other managers clearly made the signings), he also talked about (current first team players) SholaAmenobee, Yohan Kebab and Haten Ben Afre rather than Shola Ameobi, Yohan Cabaye and Hatem Ben Arfa. And that was before he turned on the “negativity” of Newcastle supporters by insisting he had “more intelligence than them”, and boasting that his list of “worldwide” contacts were so extensive no door was closed to him. Kinnear, a true dinosaur in the techniques of football management, clearly believes he will have considerable influence over affairs at the club. In reality many see his appointment as a disaster with former start striker, Alan Shearer adding “People are laughing at the football club I support. And that sickens me”. If nothing else this relic from a by-gone era is going to provide some much needed entertainment during the new season. We just have to feel sorry for manager Alan Pardew who will have to answer to his new boss. There has been a lot of talk from most clubs about who they plan to sign, however with Chelsea there has been more talk about which players they are potentially going to release. So far the names mentioned are Spaniard, Juan Matta and the boy from Brazil, David Luis. 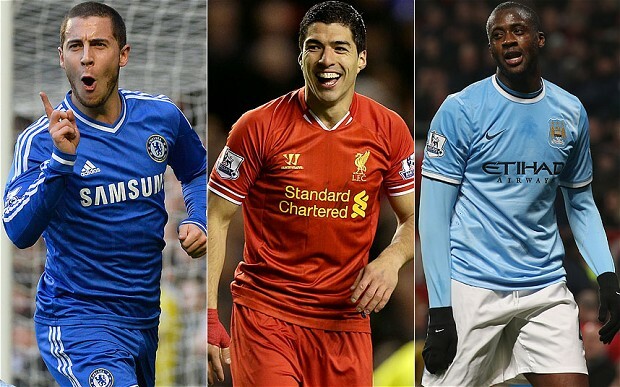 This week saw the release of the 2013/2014 Premier League Fixtures – only 8 weeks to go before its back!!! Manchester City and Manchester Utd replica shirts have been banned from being worn by workers on the site of Cities new training complex. The reason – ‘to stop it getting silly’ due to rivalries between builders who may support opposing clubs. 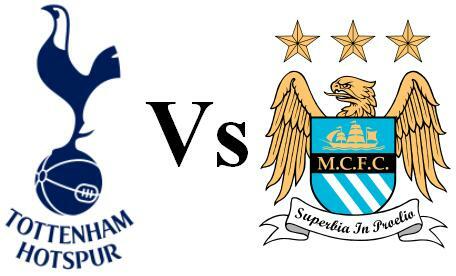 If Manchester City lose at Tottenham and Manchester Utd defeat Aston Villa on Monday the title race is all but over. While Man City are playing for pride in a desperate attempt to cut the massive lead their rivals Manchester Utd have over them. Tottenham however, are playing for that converted third place finish and a place in next seasons Champions League. This season is by far the tightest race for the third and fourth places, with four teams (Chelsea, Arsenal, Tottenham and Everton) fighting it out. Tottenham will welcome back Gareth Bale into their starting line-up after injury has kept him out for a couple of weeks. Bale is arguably one of the best players in the world right now and Spurs will be hoping he can lift the team and stop them from sliding into their annual end of season slump. For City, their form has returned but with 5 games to go it is a case of too little too late. They are hoping Manchester Utd continue to struggle and throw the championship back their way, but it would take a brave person to bet on that happening. This should be a good game; both teams still have much to play for, including their pride.